We offer comprehensive Product Development Lifecycle Services, Application Development & Maintenance Services and Consulting Services. Services are offered in multiple technologies across a spectrum of domains. We have platform expertise in Microsoft , Open Source and Legacy technologies. We live in a rapidly changing world. New technologies are appearing bringing new opportunities into seemingly perfect technologies. That's why once developed program can't be a panacea for all time. In reality if you want to keep up with the world's pace, be successful and competitive then you have to perfect company software constantly and information systems as a whole. IITV is proud to be at the vanguard of IT development. It strives to create its software using leading the standards and adopts the most up-to-date and long-term technologies into its products. IITV retains its own large staff of specialists experienced in modern technologies. At the same time in technologies which are no longer used in modern industry but are still used in many programs developed across the world. Thus IITV has sufficient potential for realization of re-engineering and migration of programs and applications, helping companies to successfully solve their actual problems. As a part of a global economy, organizations today face a host of challenges in managing compliance mandates, competitors, customers, employees, and suppliers. Responding to these challenges calls for a much greater availability of applications in 'near real time' and a more streamlined view across the business units. Our enhancements, upgrade and transformation services facilitate compliance at a lower cost through retiring customizations and deploying standard processes across enterprises. IITV's enhancement services are a formal process for improving the value of an application during its operational life-time. Our enhancement services analyze potential improvements to an application in terms of technology, infrastructure, business function and operational efficiency. This helps us optimize the application operation, enhance business functionality and increase the effective lifespan of the application. Our application enhancement services addresses issues such as technology trends and ensures that applications can be maintained over a longer operational lifetime, reducing re-development costs and improving the return on the original investment. With our proven experience and expertise in handling application upgrades in a flexible and cost effective manner, our upgrade methodology leverages an optimized global delivery model and robust tools, resulting in significant cost savings. Our upgrade services include initial study to analyze extensions and customizations that impact the upgrade process. Each upgrade is analyzed and a recommendation is provided to port them or replace them with standard functionality or go with a business process change. IITV's suite of technology transformation services is designed to synergize IT with client's business goals while helping address some of the most daunting challenges with regards to infrastructure. Customer centric approach and zeal to prove that we care for them has rewarded as with repeat business. We have been flawlessly adopting 'fine-tune' method to ensure that our clients and customers receive cost effective experience. Our maintenance and support service team provides our clients with enhancements for technology improvements, superior functionality and modern industry standards along with the access to the professionals in our Software Support Centers. Our maintenance and support service includes the direct access to our experienced consultants with personalized service from trusted, knowledgeable support specialists. Our flexible service options include e-mail support and online chat support for our clients. With our experience we ensure the solution of client's software related queries within 48 hours. Oracle Application provides a complete and open portfolio in business software and hardware systems.With its product strategy,Oracle delivers flexibility and choice to customers across IT infrastructures as it integrates every layer of the IT Stack-delivering undeniable value , a high system availability and security with excellent performance and low TCO. Our service assists clients looking to get the best ROI from their Oracle systems and applications. 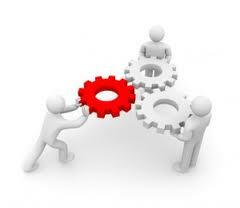 We cater to various needs, such as consulting, implementation, upgrade, rollout and development. With an emphasis for increased agility, core project focus, accelerated system stabilization, and robust delivery model flexibility, we offer clients a reliable and skilled team with a strong edge for metrics, reporting, and SLA definition, as well as support resources within a close reach. The term Portal has reached the pinnacle in IT field in just past two years. Portal Development is a system containing web functionality which provides enhancements and features so as to authenticate, rectify and identify the person using it. Portal development subsequently provides the user predictable, personalized, security and user friendly customizable interface on the web for facilitating and providing an easy access to information and services. They are exclusively relevant and also catch the interest of the consumer. The essence of Custom Portal Development is to gain more in an effective manner. It is the crux of the portal system wherein people can reap in the potential ethics, values and benefits which could be delivered by using Web page technologies. IITV develops and provides quality services in B2B portals, B2C portals, E-commerce portals and share point portal development, which have an amicable user-interface at competent prices. We provide high quality output at affordable prices. We assure your satisfaction. Portal development has become a regular jargon in many IT areas and business. A portal means a web place that gives a single point of access to applications and information. IITV leads the way in the offshore software development and outsource portal development process in India. At IITV, we offer user friendly portals which can draw attention of the users and attracts potential customers. We provide Custom Portal Development-Travel Portal, B2B Portal, B2C Portal and Online Community Portal services consistently for which we have made systemized process starting from the very basic step of signifying your company's main business processes and drawing them to required application. Our highly skilled and dedicated Portal developers have developed numerous portals for clients located in various countries of world. We've the proven experience and expertise in designing website that succeed by bringing in enquiries, which generate sales and are an asset to your business. As a website design division we offer a full-circle approach in website design & web development where the actual web designing effort covers only 40% of the entire project pie. Our website designing services covers strategic planning, business intelligence, creative, application development, product / service promotion & solution maintenance. Most of our time goes in understanding your business objectives, defining the problem and finally designing the best possible solution. At this knowledge age, knowledge is the key and our knowledge base in latest web designing technologies, search engine algorithm, global web designing practices etc makes the end product contemporary and futuristic. Your website can offer you the best return for your investment. We've the proven experience and expertise in designing & Developing Oracle E-Business & Fusion Applications using the latest Technologies such as JDeveloper, Oracle ATG tech stack, Oracle 10g, Web logic & Web Center Middleware Services. We Delivering Out-of-the-box mobile applications With a great return on investment for Android, Iphone, Windows Mobile Devizes.